The Ugli Fruit — it’s… well… UGLY. And it’s in season right now, so I had to give it a try when I saw it during my weekly Russo’s visit. Its name derives from the unsightly appearance of its rough, wrinkled, greenish-yellow skin, wrapped loosely around the orange pulpy citrus inside. 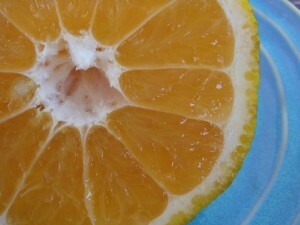 The light green surface blemishes turn orange when the fruit is at its peak ripeness. 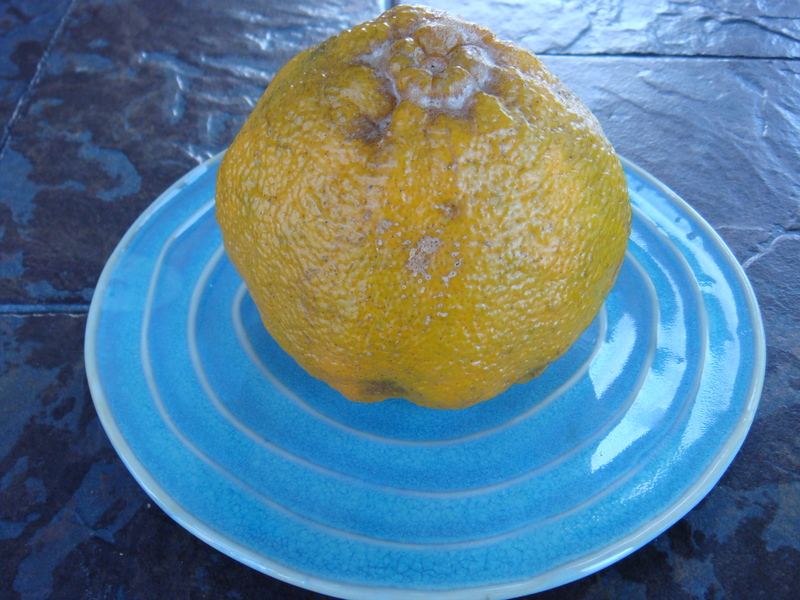 An ugli fruit is slightly smaller than a grapefruit and has fewer seeds. The flesh is very juicy and tends towards the sweet side of the tangerine rather than the bitter side of its grapefruit lineage, with a fragrant skin. The fruit is seasonal from December to April. It is distributed in the USA and Europe between November and April, and is on occasion available from July to September. The first thing I noticed is that the fruit is very juicy… much more so than an orange or grapefruit. It also has a very mild flavor… sort of like a grapefruit, but with no bitterness whatsoever. It’s quite good and would make a delicious juice or mixer. The flesh is tender and the taste is very delicate and subtle. I could see adding it to a salad or layering it on top of a mild white fish. Since they are in season right now, they are pretty cheap. 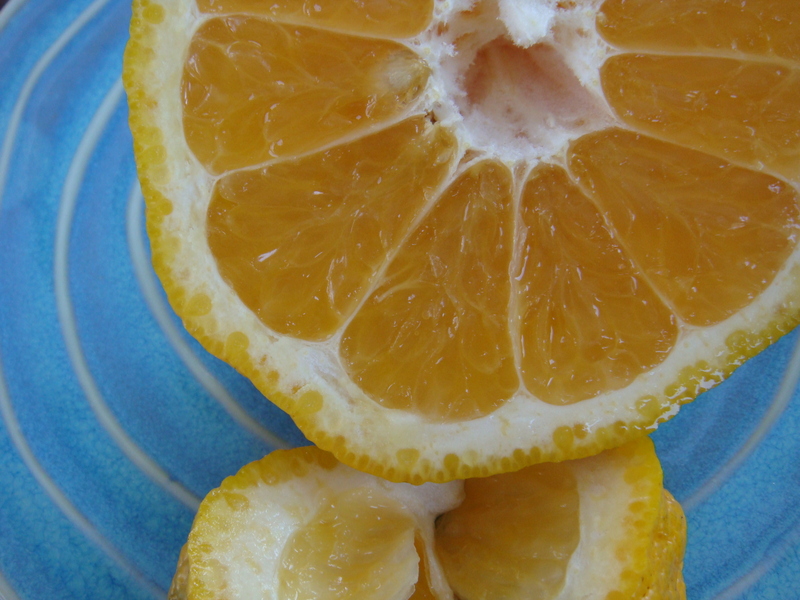 Don’t be scared off by the ugliness… the flesh is good and if you want a citrus fruit that is juicy without being too bitter, acidic or too sweet, this the perfect fruit for you.